The human experience with leeches is typically focused around the unpleasantness of being fed upon, with perhaps a dash of they make good fishing bait or we sometimes use them for medical purposes. Oh, and jokes about medieval doctors being mostly useless. Notably, most leeches don't feed on people, opting instead to harvest the fluids of birds, turtles, fishes, frogs, salamanders, snails, and/or insect larvae. They've definitely found a niche, and boy is it an annoying one. 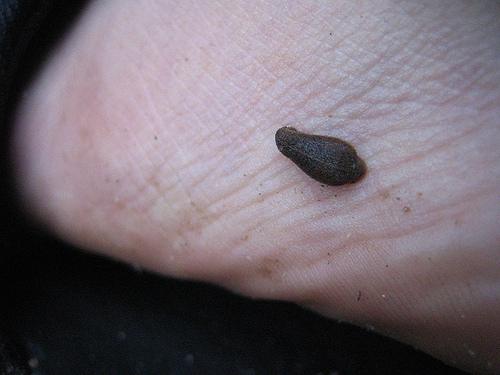 Leeches can also be used to determine if freshwater environments have been contaminated with harmful chlorinated aromatic organics such as polychlorinated biphenyls (PCBs). Since they are hella difficult to break down, these pollutants tend to accumulate within aquatic organisms as they go about their business (e.g. consuming water containing tiny particles to which PCBs have become attached). Many creatures end up with way higher concentrations of pollutants in their guts than those found in their water and sediment surroundings. This is useful because it allows the quantification of pollutants (by mashing up an organism and analyzing the resulting slurry) otherwise present in a freshwater system at concentrations too low to be easily measured. Aquatic organisms also provide an indication of pollutant levels over time, since they essentially continually sample their surrounding environment over the course of their lives. 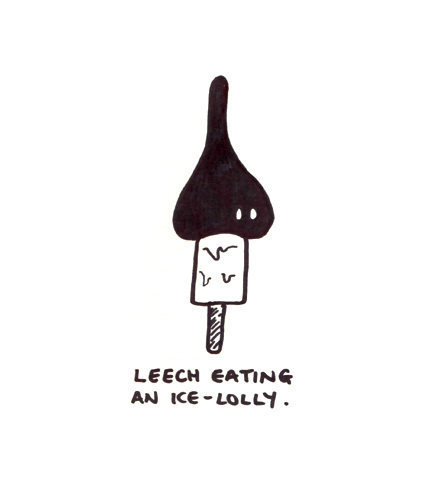 For some reason, leeches in particular are known to concentrate chlorinated aromatic pollutants to super high levels compared to their crustacean and fish neighbours. Since they are eaten by fish, measuring pollutant concentrations in leeches informs how much of a pollutant is being transferred up the food chain. Leeches are also particularly useful as pollution indicators because they are ubiquitous and abundant in freshwater rivers and lakes, including shallow waters where fish (another commonly used indicator) might not be present. Furthermore, while many fish tend to migrate, leeches tend to be homebodies and so are generally more representative of the area where they are collected. Way up in northern Ontario, which really is most of Ontario, lies a former military installation by the name of site 050 (map). It was part of a coast-to-coast chain of radar antennae built as an early warning system by Canada during the 1950s when everyone was freaking out about the potential for a Soviet nuclear attack (i.e. bombers, and later ballistic missiles, being launched across the Arctic at the USA). All told, the Mid-Canada Radar Line (MCRL) was made up of 98 sites installed along the 55th parallel. After operating for less than a decade, the MCRL was shuttered (having been supplanted by the DEW Line) and more or less left to rot. Unfortunately, the presence of PCBs (e.g. transformer oil) and other nasty pollutants at MCRL sites resulted in contamination of the surrounding environment. In particular, at site 050, nearby inhabitants of Fort Albany First Nation were found to have elevated levels of PCBs in their blood. The site underwent remediation in 2001 and subsequently was studied using leeches to assess the effectiveness of this effort. Members of the genus Haemopis from a section of the Albany River near the site unwillingly gave their lives to establish that PCB levels had decreased in the years following remediation, indicating it was at least somewhat successful. Thanks, leeches. Prahacs SM, Hall KJ, Duncan W. 1996. Leeches as in situ biomonitors of chlorinated phenolic compounds. Part 2: Pulp mill investigations. Water Research 30(10):2301-2308.